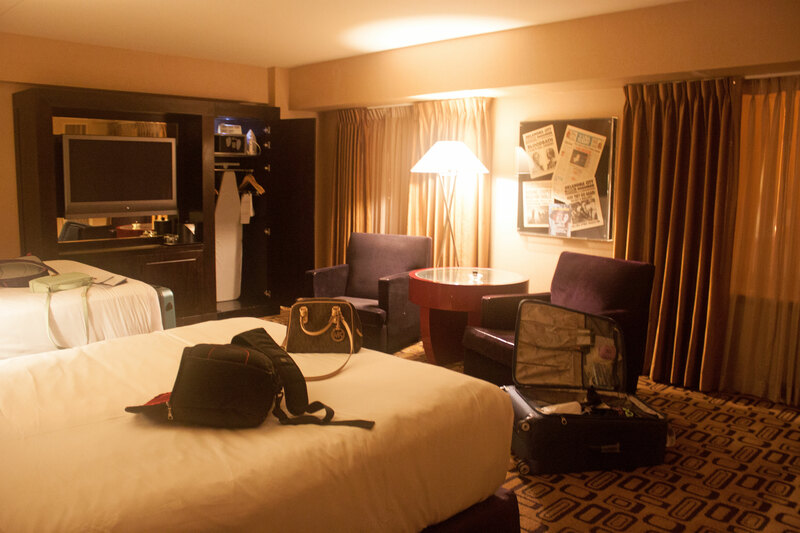 When planning a trip to Sin City, one of the most challenging decisions is where to stay. Some may enjoy the quiet of staying off the strip or closer to downtown Vegas and Fremont, while others want to be right in the action. I have only been to Vegas once at the time of this post, but I did want to share with you my temporary home for my 4 day stay. I chose to be right in the middle of The Strip at none other than Planet Hollywood! Situated beside the Paris hotel, Planet Hollywood (PH) has endless things to do, see, eat, and experience. It also made catching public transportation a breeze as busses all make stops at Paris and at Caesar’s Palace across the street, with nearby walkways to take you back to PH. 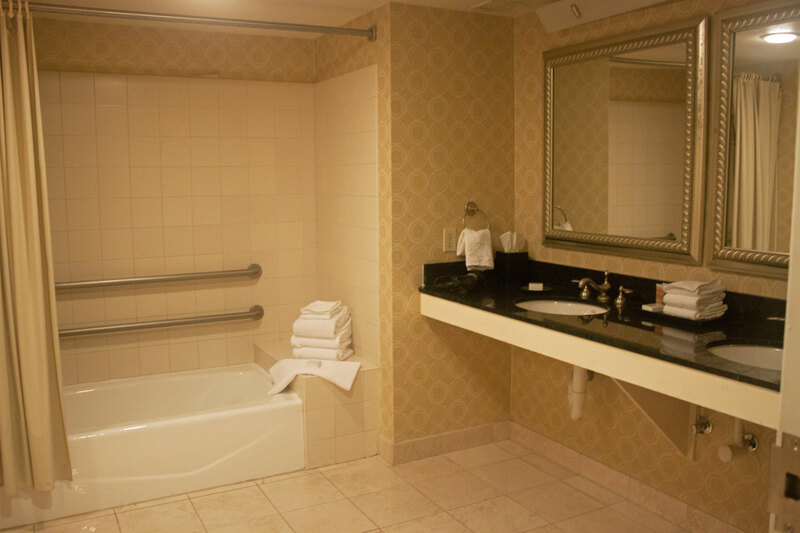 The rooms were comfortable with bathrooms that you could run laps in. Each room is themed and contains movie memorabilia which was a thoughtful touch. The hotel also features a rooftop pool to escape the heat and cool off! The staff were courteous and quick to check us in and check us out despite the line-ups. They were efficient and knowledgeable and answered our questions regarding potential tours, restaurants they recommend (including off site ones), and local transportation. 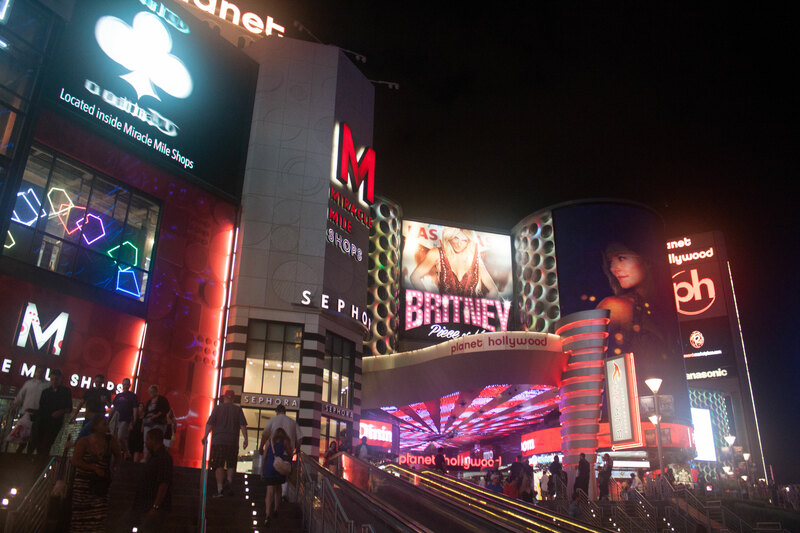 Of course, there’s the obvious reasons that most people come to Vegas: casinos and nightlife. PH has quite the amount of options for those looking to try their luck and in a smaller space than most of the other casinos down the strip. This is a matter of preference as some may enjoy having a casino that spans several floors or sections (e.g. Caesar’s Palace) and others may enjoy being able to see what the whole casino has to offer in a quick walk-around. There are also 5 nightlife hot spots on site: PH Shiver (outdoor lounge), the Playing Field Lounge, the open-air EXTRA Lounge (with live music), Koi Lounge (Asian-themed), and of course the Heart Bar. In terms of entertainment, Vegas is a host to so many shows and concerts. PH currently hosts Britney Spears as a resident performer, but will soon be featuring Jennifer Lopez with her “All I Have” residency starting in May 2016. When it comes to eating, PH definitely has something for everyone. Those looking for a quick bite to eat at any time of the day can check out Earl of Sandwich in their 24/7 shop. I personally really enjoyed Gordon Ramsay’s BURGR (I promise, those line-ups go by quickly! ), and getting breakfast at Planet Dailies. For those interested in the buffet option (I couldn’t handle it) there is the popular Spice Market Buffet on site. Now that I have Planet Hollywood checked off, the only question is…..which hotel should I stay in the next time I make a trip down to Sin City? Decisions, decisions! I simply want to mention I am new to blogs and really liked this web blog. Almost certainly I’m going to bookmark your website . You definitely have really good article content. Appreciate it for sharing with us your blog site. Thank you for visiting! I appreciate it!